Taipei City. 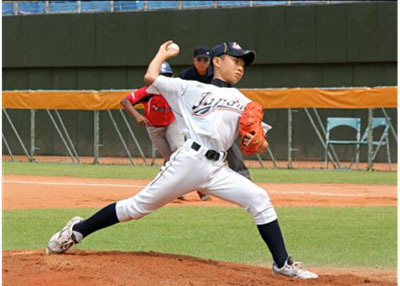 Four teams are left in the race to win the Gold Medal at the II 12U Baseball World Cup in Taipei City. Defending champion Chinese Taipei stays on course, defeating Korea in the quarterfinals by a strong outing by their starting pitcher and the heroics of their shortstop. They will meet with Venezuela, which needed a pair of two-run doubles to decide the outcome against Mexico. In the second semi-final the United States and Japan will square off. The US squad shut out Brazil thanks to a combined effort on the mound, strong defense and a couple of runs against a strong pitcher. Japan scored early and then defended their lead in a win over Panama to reach the semifinals for a first time. For Korea, Mexico, Panama and Brazil the tournament isn’t yet over. They will play out places five to eight in a classification round. On Saturday Mexico and Korea will face each other in the morning, Brazil and Panama in the afternoon.